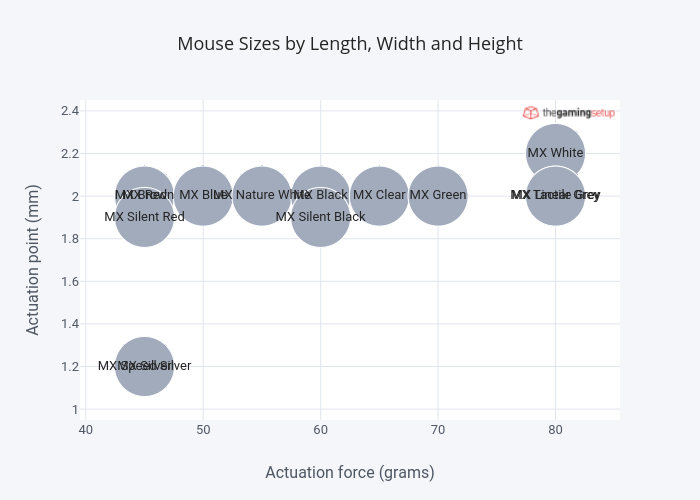 Raymond.sam's interactive graph and data of "Mouse Sizes by Length, Width and Height" is a ; with Actuation force (grams) in the x-axis and Actuation point (mm) in the y-axis.. The x-axis shows values from 41.98717948717949 to 83.01282051282051. The y-axis shows values from 1.0835015357612987 to 2.3164984642387014.